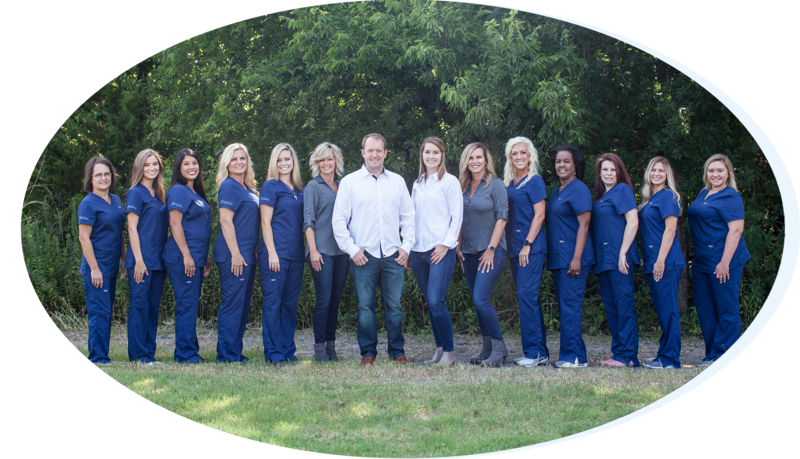 The entire staff at Harris Orthodontics operates as a team and we take great pride in each member’s skills and dedication to customer service. 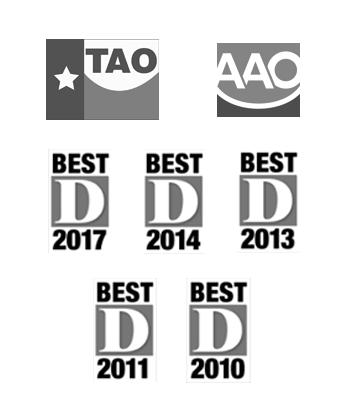 The team is committed to making sure every patient’s needs are met in a comfortable, enjoyable and fun atmosphere. 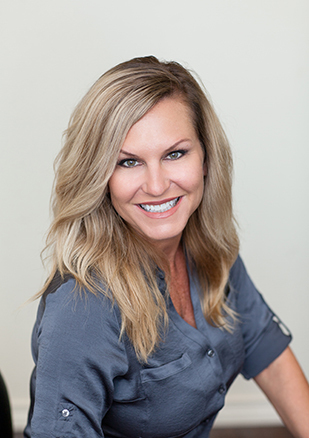 Lisa has been in orthodontics since 1992 and joined Harris Orthodontics in 2006. Her favorite things about her job are getting to know new people and watching them change and become more confident through orthodontics. Outside of work, Lisa enjoys spending time outdoors with her husband and two children. 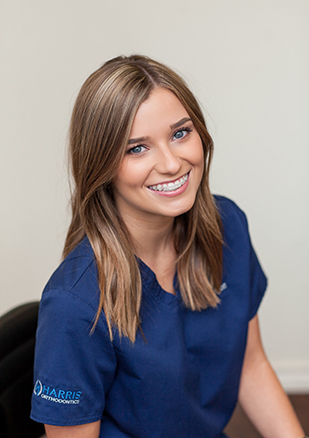 Skyla has been in orthodontics since 2010 and joined Harris Orthodontics in 2012. Her favorite thing about working in orthodontics is seeing the difference in patients’ smiles before and after treatment. Skyla welcomed her first baby into the world September 2015. She loves spending time with her little one and family, and also enjoys being outside and cooking. 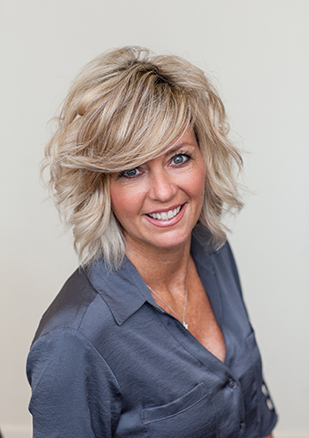 Cheryl has been in orthodontics since 1986 and joined the practice in 1991. Her favorite thing about her job is having the opportunity to see transformations in the patients smiles. Outside of work, Cheryl enjoys music, sports and spending time with her family. 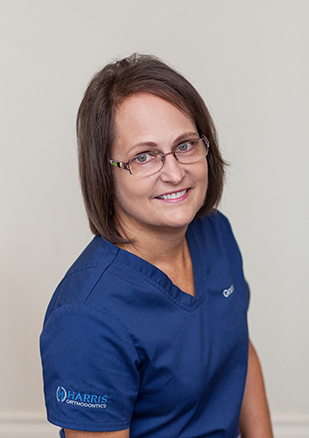 Grace has worked in orthodontics since 1982 and has been with Dr. Harris since March 2006. Her favorite part about working in orthodontics is seeing the patients smiles when they get their braces off. She enjoys spending time with her son, daughter, their spouses and her two grandchildren. Hagen joined the Harris Orthodontic team the Fall of 2016. Her favorite part of orthodontics is seeing the changes that take place in patients’ smiles. In her spare time, Hagen enjoys spending time with friends and family. 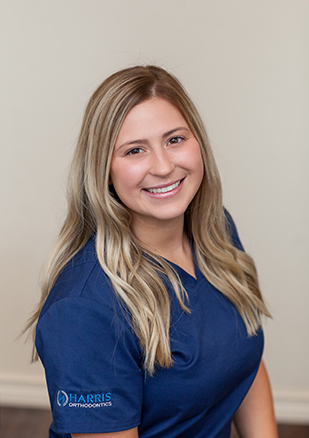 Briona joined Harris Orthodontics in 2018, she enjoys patient interaction and seeing the positive impact this specialty brings to the lives of others. In her spare time, she enjoys being outdoors, traveling, and spending time with family, friends, and her fur child Muuse. 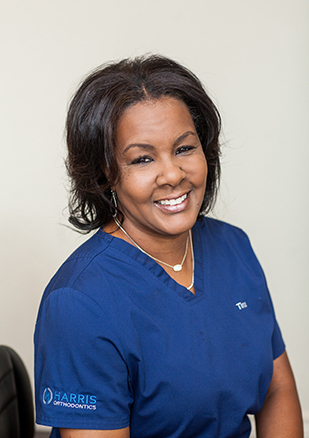 Tina is a graduate of ATI, where she received her RDA and soon after joined Harris Orthodontics in 2007. Tina hails from New Orleans and now considers Texas her home. Being the busy mother of two awesome children, she fills her spare time going on weekend trips to the movies and shopping. Her favorite part of working at Harris Orthodontics is getting to know each patient and participating in their orthodontic needs. 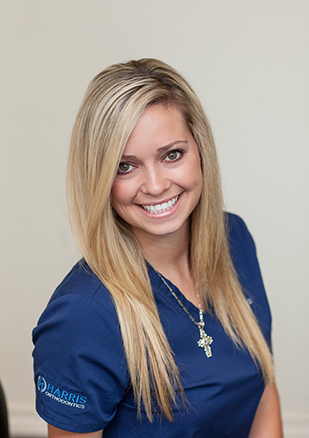 Carley has been in dentistry and orthodontics since 2000 and with Harris Orthodontics since 2007. 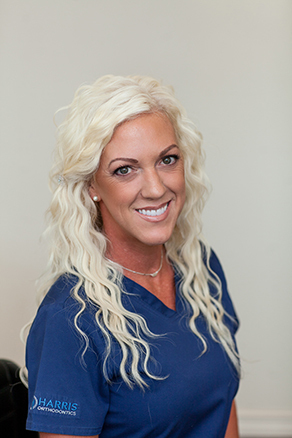 Her favorite part of her job is meeting new people and seeing their improvements through orthodontic treatment. Outside of work, Carley enjoys spending time with her husband and two children. 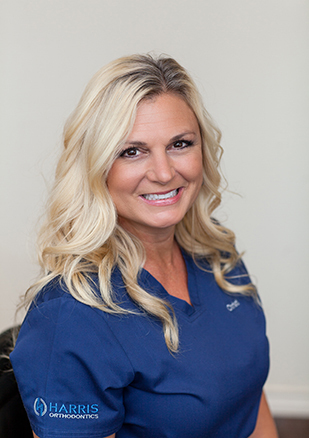 Christi has been in orthodontics since 1990 and with Harris Orthodontics since 2008. Her favorite thing about her job is learning new skills and taking on challenging cases. Outside of work, Christi enjoys hanging out with her husband and five children. 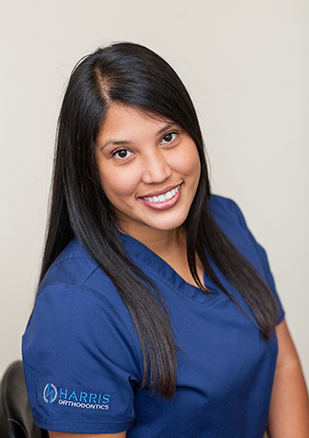 Maria has been in orthodontics since 2009 and joined Harris Orthodontics in 2013. Her favorite thing about orthodontics is meeting new people and getting to know them during their treatment. Outside of the office, Maria enjoys spending time with her family. Katie joined Harris Orthodontics summer of 2017. She enjoys getting to know the patients and changing their smiles through orthodontic treatment. When Katie isn’t working, she enjoys spending time with her husband and her fur child, Bevo. 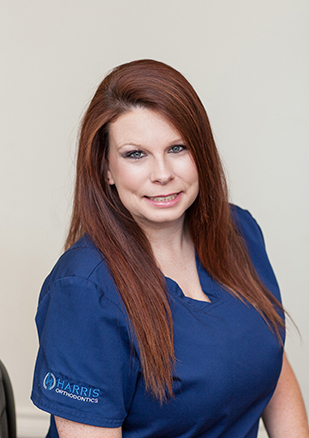 Kristen began her orthodontic journey seven years ago. 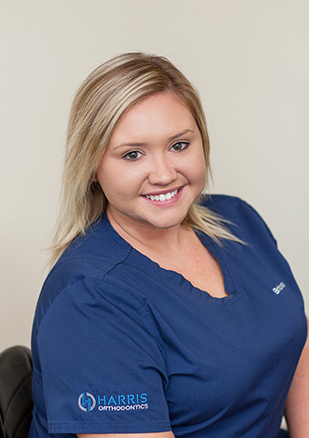 She joined the Harris Orthodontics team after moving back home to Mesquite from Round Rock, Texas in 2018. She loves seeing the joy on patient’s faces when their braces come off. She has learned something new everyday. In her spare time, she’s at gymnastics with her 5 year old or at a cheer competition with her 15 year old.